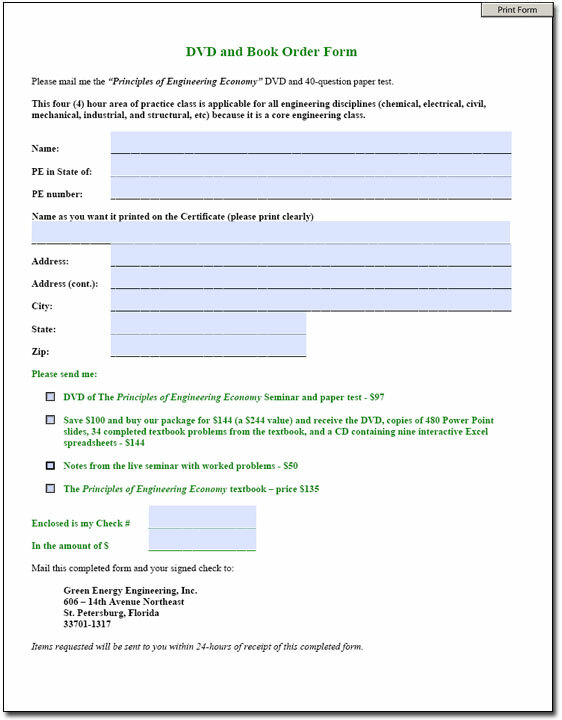 DVD Order Form - Green Energy Engineering, Inc.
You presented a lot of information, very clearly, in a short time. The presentation was excellent and content very informative and useful. Good Class – I’ll recommend it to other engineers. The seminar was excellent and very well developed. Call Eric Coffin at 727-742-7276 NOW! © 2017 Green Energy Engineering, Inc.